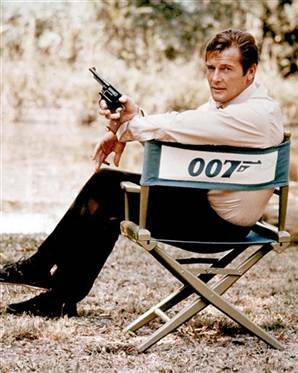 Sir Roger Moore has been honoured with a Pinewood Studio Stage named after him. The Roger Moore Stage unveiled 15th October 2017. 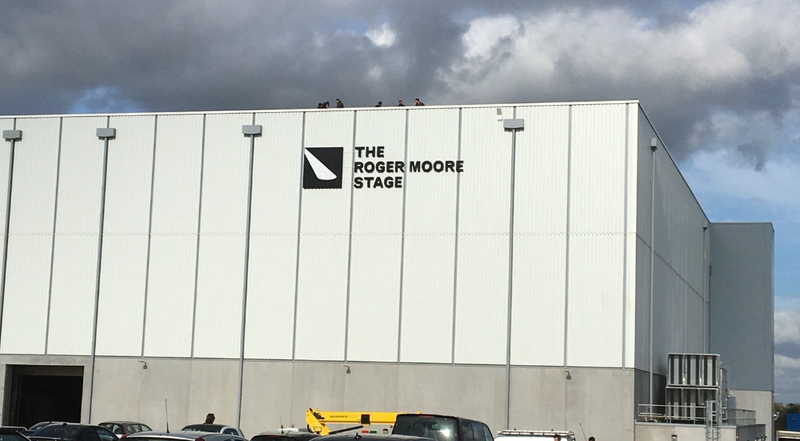 Pinewood was honoured to dedicate a stage to Sir Roger Moore today, it will be known as 'The Roger Moore Stage'. Nobody did it better. 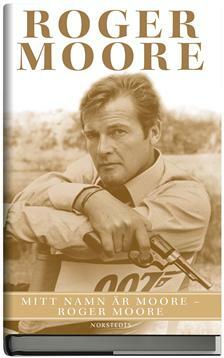 My name is Moore- Roger Moore Salute! He has been married 4 times: to Doorn Van Steyn, Dorothy Squires, Luisa Mattioli and Kristina Tholstrup (2002), and He has 3 children, Deborah, Geoffrey and Christian, and 2 granddaughters. 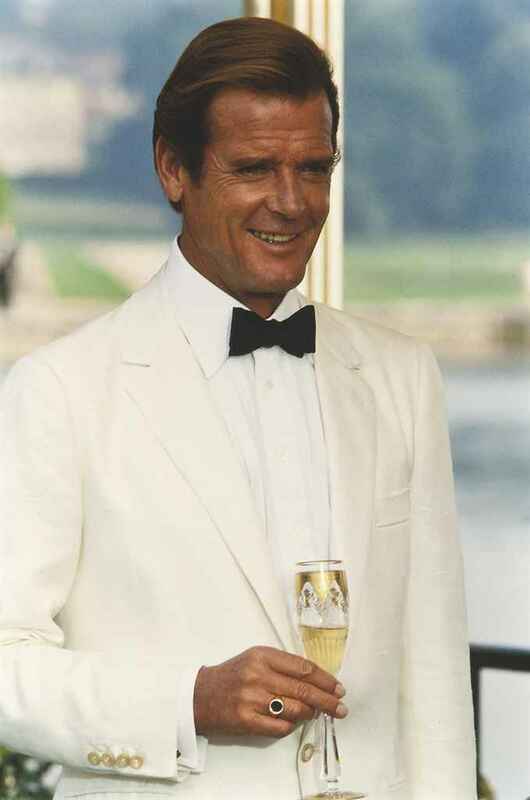 Sr. Roger George Moore Born 14 October 1927 in Stockwell, London, England, United Kingdom, British (English) actor, director and film producer. He has Played the role of James Bond between 1973 and 1985. He is also known for the role of Simon Templar in the television series The Saint (Helgonet) and as Lord Brett Sinclair in the TV series The Persuaders, where he played against Tony Curtis Like the American millionaire Danny Wilde. Moore is also humanitarianly engaged through his work as a goodwill ambassador for UNICEF. 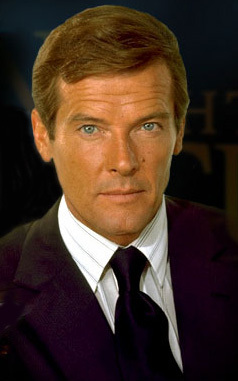 Sr Roger George Moore född 14 oktober 1927 i Stockwell, London, England, Storbritannien, brittisk (engelsk) skådespelare, regissör och filmproducent. Han har bl.a. 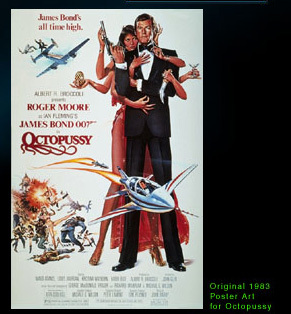 spelat rollen som James Bond mellan 1973 och 1985. Han är även känd för rollerna som Simon Templar i TV-serien The Saint (Helgonet) och som Lord Brett Sinclair i TV-serien The Persuaders (Snobbar som jobbar) där han spelade mot Tony Curtis som den amerikanske miljonären Danny Wilde. Moore är också humanitärt engagerad genom sitt arbete som goodwillambassadör för UNICEF. När Moore som helgonet behövde en bil i TV-serien, valde man en vit Volvo P1800, vilket bäddade för dess kultstatus för all framtid. För detta blev Moore hedersmedlem i Svenska Volvo P1800-klubben 2004. 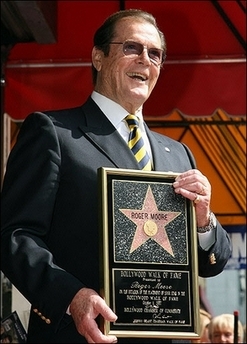 ROGER MOORE född I LONDON, ENGLAND - 14 Oktober 1927. BOND åren 1973 - 1985; 7 filmer. "My word is my Bond" kom till mig via London till där jag fick träffa Roger Moore signerad. jag som i min tur lämnade min bok James Bond : "En fadersgestalt" signerad av mig Gunnar James Bond Schäfer som Roger Moore nu har i sina ägor. 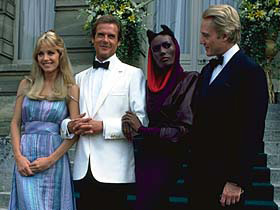 Han har jobbar i ett halvt sekel, spelat 118 avsnitt av "Helgonet" och älskats i "Snobbar som jobbar 24 avsnitt", men det råder inga tvivel om vem Roger Moore anser är sin viktigaste rollfigur. När Moore, 82, nu ger ut sina memoarer är titeln "Mitt namn är Moore - Roger Moore". På engelska "My word is my Bond". 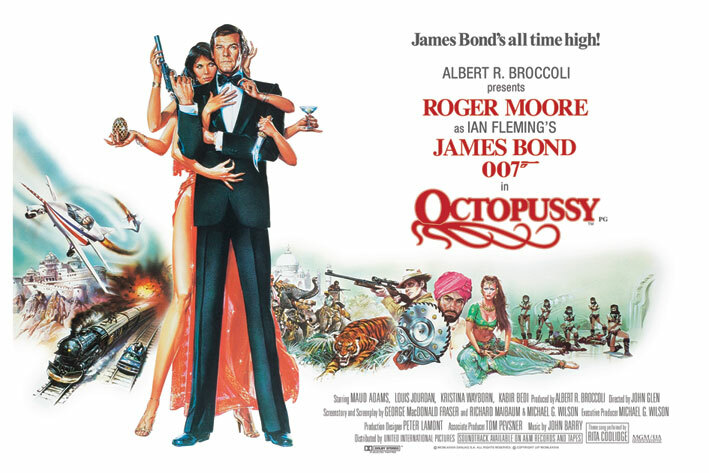 - Bond var ju den sista stora filmserien som jag gjorde. Men det krävs inte något större skådespeleri att säga "My name is Bond, James Bond". Skådespeleriet bestod mest i att se modig ut när vapnen smällde, säger Roger Moore när han tar emot på bokförlaget i Stockholm. - Det var underbart att spela in dem, det var en fantastisk tid av mitt liv och det är det mest populära jobb jag gjort. Men jag har spelat in andra filmer som jag tycker bättre om, till exempel "Mannen som jagade sig själv" (1970), en dubbelgångarhistoria. Och tre filmer med regissören Andrew McLaglen: "De vilda gässen", "Havets vargar" och "Specialkommando - med uppdrag att döda". 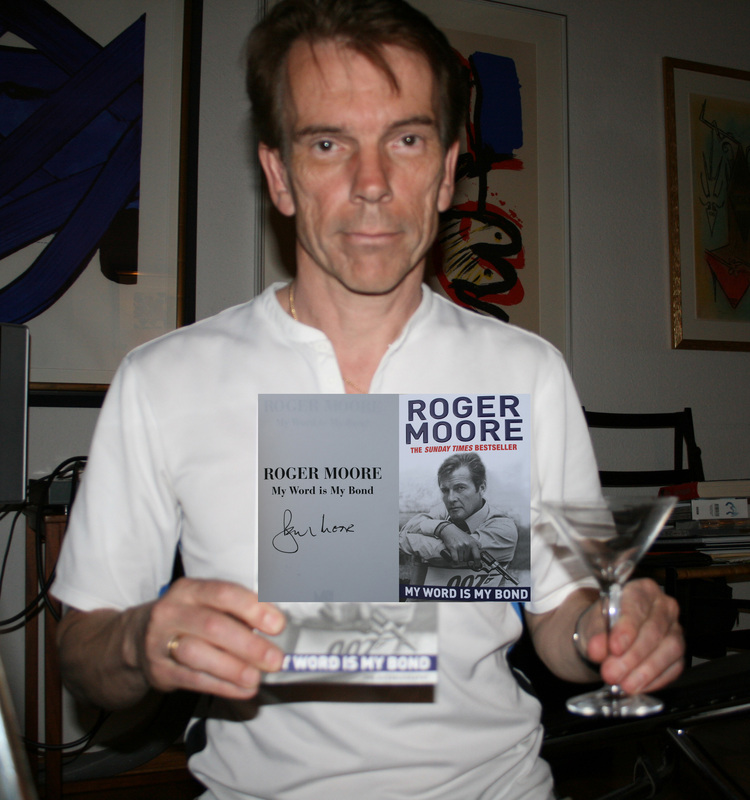 "My word is my Bond" came to me via London to where I met Roger Moore signed a who left my book James Bond: "En fadersgestalt" signed by me Gunnar James Bond Schäfer as Roger Moore now has in his own words . He has been working for half a century, played 118 episodes of "Helgonet" and loved in "Persuaders 24 episode" but there is no doubt who Roger Moore considers is his most important role figure. 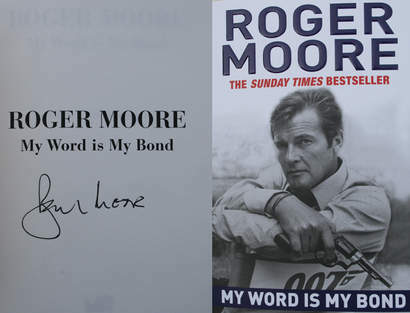 When Moore, 82, now releases his memoirs, is titled "My name is Moore-Roger Moore". In English "My word is my Bond". "Bond was the last big movie series I did. However, no major action is required to say "My name is Bond, James Bond". 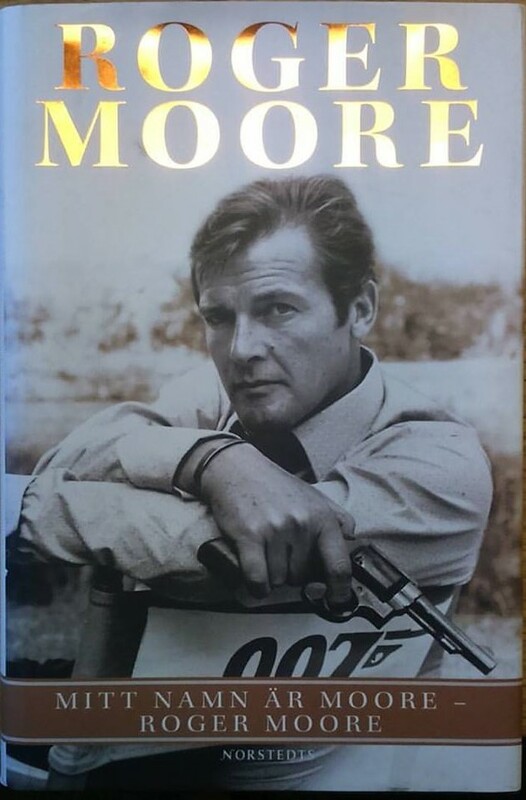 The actor was most likely to look brave when the weapons were banging, "says Roger Moore when he receives the book publishing in Stockholm. "It was wonderful to record them, it was a wonderful time of my life and it's the most popular job I've done. But I've recorded other movies that I like better, such as "The Man Who Chased Himself" (1970), a double-track story. And three films with director Andrew McLaglen: "The Wild Geese", "Waves of the Sea" and "Special Command - Mission to Kill". We were picked up in a classic Chrysler 1947 for a tour of the city before we arrived at the port where the boat to Taj Lake Palce was waiting for us. The staff was waiting for us with rose petals and welcome drink. We were there three days.The room, location and food was fabulous. Service was Amazing. One of the most exciting places to visit and everything was five star. 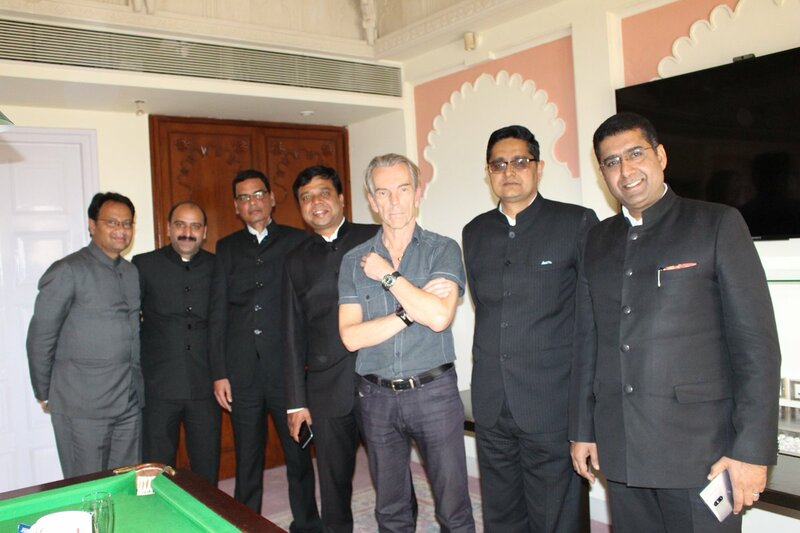 Thanks to all the staff at the Taj Palace for a wonderful stay. 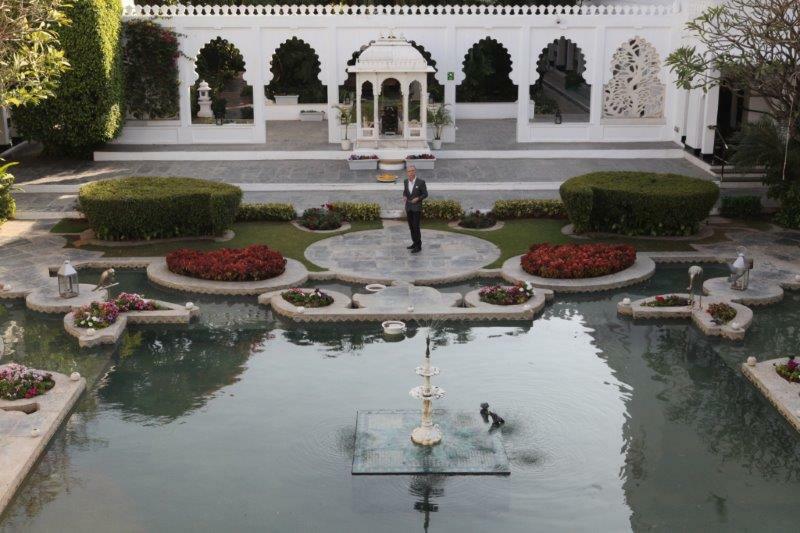 A special thanks to the Manager Balraj Singh Shaktawat who organized everything on our visit. 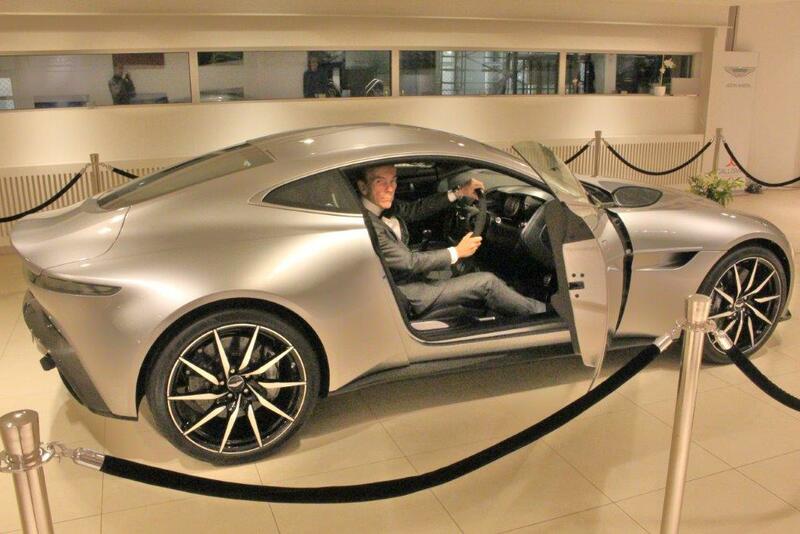 Best Regards CEO/President James Bond Gunnar Schäfer from 007museum in Nybro Sweden.